Freedom is a tough business. Just about when the article ‘ESAT’s best contribution is choking fake Mediafrom spitting out the truth’ I wrote was posted I read Ethiopia Review’s wish “Ethiopians in Los Angeles to boycott Shabia-Ginbot 7 fund raising” on Saturday written by lone ranger journalist Elias Kefle. Quite frankly I laughed at first but couldn’t help but be amused how little Elias and his like think of Ethiopians. No, there is nothing wrong questioning Ginbot 7 relationship with Shabiya that is not new accusation and the right of every Media to do. But, to claim; “Ethiopians in LA to boycott” sounds more I Elias wish Ethiopians boycott G7 fund raising. After all G7 didn’t force people to come .by threatening them like Woyane does come or else. Therefore, the title should have been I Elias of Ethiopian Review wish Ethiopians boycott Ginbot 7 fund raising because I believe G7 association with Shbiya is not good. This should have been, ‘my friend in Los Angeles told me he wishes Ethiopians boycott G7 fund raising events planned for Saturday. The reasons for boycotting the Shabia-sponsored Ginbot 7 fund raising are: 1) the refusal by the Shabia regime in Eritrea to free Ethiopian patriots it has jailed, 2) Ginbot 7 becoming a puppet of Shabia, 3) Ginbot 7 surrendering Ethiopia’s interest to Shabia, a sworn enemy of the people of Ethiopia, 4) spreading false propaganda, and 5) enslaving and murdering young Ethiopians who went to Eritrea to fight Woyanne. The boycotting of Shabia-Ginbot 7 events around the world will continue until Shabia is rooted out of the opposition camp. It should have been; ‘My call for boycotting G7 fund raising is 1) Shabiya refuse to free my associates it arrested when I was working with it 2) I believe G7 is not good enough than me 3) I believe Shbiya is a sworn enemy of me and my associates by extension the people of Ethiopia because I am Ethiopian. 4) I believe it is spreading propaganda on Woyane by extension Ethiopia, and 5) I believe; Shabia is enslaving Ethiopians and murdering them because I am not in command to protect them. Therefore, I will call all my friends around the world to boycott G7 events until Shabia talk to me and associate to take charge. It should have read; ‘Woyane accuse Shbiya provocation’. Even the PM Hailemariam said Shabia not say Eritrea. It should have read I Abrha Belai of EthioMedia wish ‘Woyane stay as Ethiopian government to war with Shabia before Ethiopian freedom fighters namely Arbegnoch- Ginbot 7 overthrow Woyane’. “Addressing the parliament on Tuesday, Prime Minister Hailemariam Desalegn said his government has been informing the international community of its concern about Eritrea’s war-provoking activities in the region”. It should read; What took Prime Minster Hailemariam to accuse Eritrea so that I can change the subject to Eritrea-Ethiopia instead Arbegnoch- Ginbot 7 – Woyane to prove Ethiopian freedom fighters are Shabia supported terrorist group as PM told the international community. “The independent ESAT TV reported that Hailemariam’s address came in the wake of Ethiopian rebel attacks in northern Ethiopia”. It should read; ‘what I have been wishing come through; Shabia Supported ESAT-TV confirmed when Halimariam address in the wake of Arbegnoch- Ginbot 7 attack in Northern Ethiopia’. It should read; EthioMedia like Woyane spokesperson Getachew Reda dismissed ESAT’s report as fictitious before we confirmed it from the PM accusation of Shabia to the authenticity — ESAT is Shabia Media so Eritrea-based combatants that engaged Woyane forces conformed our suspension. Quite frankly, I think Ethiopian Review and EthioMedia merged because of G7 association with Shabia in one big 2 men Media Company like Fox. But, they would last long before they split over who is going to be the boss. If you think about Ethiopian’s problem is reflected by the two comedian-Medias with a combined experience of over 40 years but, still playing with mud like children on important work of the Media. Elise appears close to breakdown. His virtual government already put all Ethiopians that disagree with him in prison and Ethiopia Review the only Media in the country telling us what to do. 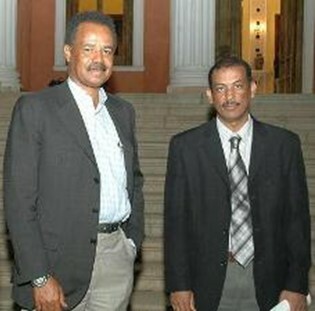 Abriha Belai appears struggling to come out his village mentality and his obsession with Eritrea-Shabia. He also has an obsession with foreign Media searching any news from foreign source but wouldn’t touch anything Ethiopian except occasionally from Woyane controlled sources that serves his wishes. Both, after all this years couldn’t put together a Media with half way decent reporters but recycle gossip that wouldn’t Ethiopians to be informed about their country Ethiopia under Woyane. Instead, their love-and-hate with Eritrea and anyone associated with are their obsession. It appears they are diverting Ethiopians from Woyane just like the TPLF led regime. Biniam Tewolde’s email messageTake for instance TPLF hacker that is hacked red handed. His name is Shaleka Biniam Tewolde (pictured) a TPLF operative in the INSA (Information Network Security Agency under Debre Tsion Gebremichael). It has been almost two months since we lost our control of more than 30 agents. These agents are very critical for our operation. So far we could not restore control of those agents. Before some days, Danielle has told my colleague that restoration is not possible. We once again ask HT to do all their best to restore the control of agents. Besides we want all the information about the hosting company, and contact persons of the company. Instead of looking for Binyam and the 30 TPLF agents in North America and Europe and elsewhere they are diverting us on other issues to detract us from ending Woyane rule. How come—after so many years of wasting our time they couldn’t find anything about so many things TPLF does right where they are based? An amateur like me can find corrupt TPLF operatives everywhere in North America and Europe. Therefore I decided to write article on my new found Media Ethiopia Politico to divert the issue. Addressing the parliament on Tuesday, the figure head Prime Minister Hailemariam Desalegn said his TPLF handlers has been informing Susan Rise of their concern about Shabia’s war-provoking activities in the region TPLF have been loyally fighting international terrorism on the order of your excellency”. The independent ESAT TV reported that TPLF Figurehead Hailemariam’s address came in the wake of Ethiopian Liberators attacks TPLF position in northern Ethiopia”.